SINGAPORE (Agency): The Maharashtra Government and Singapore’s Changi airport will collaborate for a greenfield airport development project in Pune, Chief Minister Davendra Fadnavis said here. Maharashtra Airport Development Company Ltd (MADC) and Singapore’s Changi Airports International Pvt Ltd (CAI) will explore the setting up of Special Purpose Vehicles and further investments in airport projects. “I have offered the partnership of Maharashtra Government in the new airport at Pune and passenger and cargo airport at Nagpur,” Fadnavis told reporters after he called on Singapore Prime Minister Lee Hsien Loong. Fadnavis also called on Deputy Prime Minister Tharman Shanmugaratnam and met Trade and Industry Minister S Iswaran. 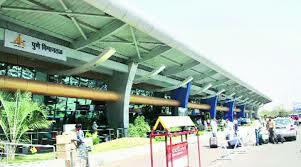 Fadnavis said the MADC and CAI will collaborate for a greenfield airport development at Pune. The two companies will also work on upgrading Babasaheb Ambedkar International Airport at Nagpur into regional logistics and cargo hub. Fadnavis and his delegation has also held discussions with a number of Singapore businesses, including Surbana Juorng for the masterplan for Pune and Nagpur. Fadnavis met Liew Mun Leong, Changi Airport Group’s Chairman and Surbana Jurong, the master planner of Amaravati capital city of Andhra Pradesh.The Maharashtra Government has also called on Surbana Jurong to participate with in planning the development of the two cities, he said. Both countries have agreed to set up working group on these projects to be co-chair by Fadnavis and Minister Iswaran. Fadnavis, who arrived here on Thursday from a business trip to Seoul, have invited Singapore investors to participate in the large range of business opportunities in Maharashtra.